I hear this phrase more than you will ever know. And yes, I’ve even said it myself a few times! Everyone fears tossing something out only to realize that, one day down the road, we shouldn’t have. Keeping things around “just in case” makes people feel safe. Here are a few ways to tackle that mindset. Box it up! First go through the area you want to organize and pull out ONLY your favorites and most used items. Put all the just-in-case items in a box. Label the box “Open in Nov 2012” (or whatever date is one year away). Then tuck it away in your basement, attic, or storage facility. If you end up needing or wanting any of the exiled items in the coming weeks, you can retrieve them. But as the months go by you’ll be shocked at how few of those things you even think about. In a year, when you open the box, it will be much easier to part with the unused items. More often than not, people end up completely forgetting what they put in the box. If this happens to you, try to refrain from even opening it. Trust that you truly don’t need anything in it and take it to the Goodwill! 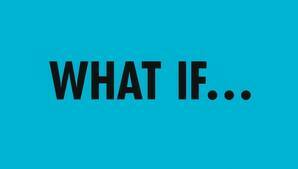 Go ahead, play the What-If Game! Go ahead and ask yourself “What if I need this one day, and what if I don’t have it?” Can you replace it somehow? If money is an issue, can you buy one from a thrift shop? Can you borrow one from someone else? Can you use something else that will work just as well? It took me many years to decide to get rid of my precious potato masher. When I was cleaning out my utensil drawer I noticed that it took up so much room… and the truth is I never make mashed potatoes! It was hard to let go of, but I was tired of justifying the space it took up with “but I might need it”. Ironically, a few months later my father was using our kitchen to cook Thanksgiving dinner and, of course, wanted a potato masher. Did we panic? Was Thanksgiving ruined? Of course not! I simply told him to use something else… a fork, a pasta spoon, an electric mixer, his hands, or even our abalone pounder (yes, a very important tool in our kitchen). There were so many options! In the end, the potatoes turned out fabulous… and all without the silly potato smasher! Download your free copy of Understanding Procrastination by CarlaRae Arneson when you sign up for our email updates . . .
Get Rid of Unwanted Catalogs For Good! ©2012 Loose Ends. All rights reserved. Reproduction in whole or in part without permission is prohibited.